In 2013, at sixteen years old, Eva Baker, founder of The Teenpreneur Conference, started a personal finance website for teenagers called Teens Got Cents. 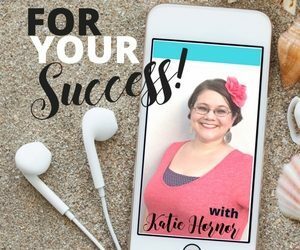 She talks about shopping smart, getting a great part time job, saving money, going to college debt free, and features DIY projects that are affordable for teens. 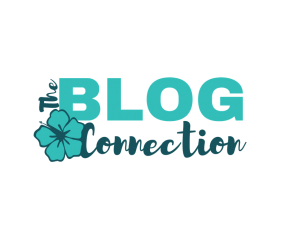 Today's sponsor is The Blog Connection – A membership community empowering women entrepreneurs to make a larger impact and income. During this time, her parents were divorcing and Eva watched her Mom try to get back on her feet financially. The first step was to check out Dave Ramsey’s Total Money Makeover from the library. Because the library only had the audiobook available, Eva was also hearing the book in the car with her mom. Eva’s parents had been very diligent to educate and involve their children in the family finances; from teaching about budgeting to having them make their own major purchases. But listening to Dave talk about debt, and the ramifications of that debt, was a wake-up call for Eva. She had never before understood the burden of debt on adults, but soon began to realize that the priority her parents had put on financially training their children was not the norm for most families. The lack of education has led to many teens leaving home for college and not knowing simple things like how to have enough money for groceries, how to manage their spending money, and how to avoid credit card debt. Eva began doing research, looking for resources for teens…and was sorely disappointed. While there was a plethora of information for adults on finances, there was absolutely nothing for the younger crowd. And at that moment, Eva knew exactly what she wanted her high school project to be. 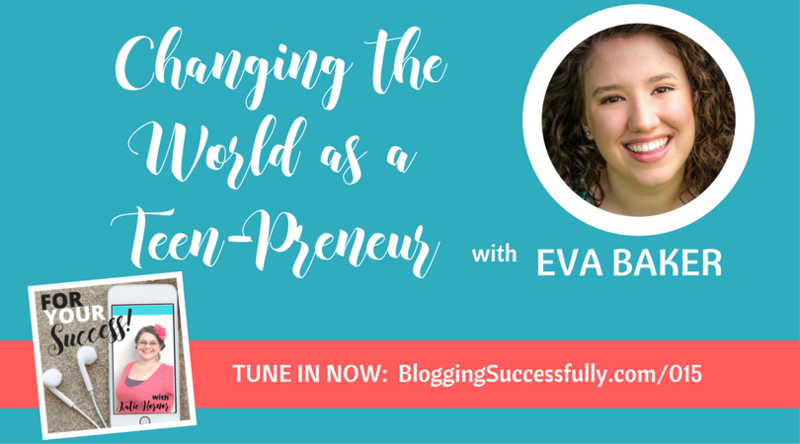 When Eva bought her first domain and set up her website, she literally had no idea what she was doing. Fast forward to today, and she has a team of 5 teen contributors to the site. They post once or twice a week to the blog, with articles aimed at teaching teens how to be smart with their money. She also has a free ebook on the site which not only talks about how to save money, but what to do with it once you have saved it. Eva began her website when she was 16 years old, and the growth was slow. She worked for 3 years before getting to a point where she could call it her full-time job. There were times of steady growth, and there were times of stagnancy; hard work is what made the 3 years culminate in a full-time job instead of a failed project. That project had a great foundation due to Eva’s knowledge of finances. But she did not have a background in business, or marketing, or any of the other things so important in online business. However, she and her Mom heard about a conference called FinCon, and in October of that year they traveled to St. Louis to attend. Eva recalls was “nerve-wracking for her.” She had only been blogging for less than a year, she had never been to any conference like this, and she had no idea what she was doing. She was nervous about what the other people would think about this “kid being there.” But she needn’t have worried for a moment. She now attributes much of her success to the group of people she met at that first FinCon. They took her under their wing, and helped her to get her first sight of the possibilities of what she was doing. They helped to educate her on the things she needed to know regarding running an online business. While Eva can definitely see where she has come, she has been in some tough places with her business. Every day has a long list of things she must accomplish just to keep things running, and that can leave very little time to actually invest for growth. Eva works around 7-8 hours per day on her website, often working most of the day and then again in the evening after dinner. But things didn’t start out that way. Remember, Eva was 15 years old when she started her business. Still in high school. So Mom stepped in. Eva’s mother has always run the back end of the business, and they remain business partners to this day. Her mother has her own online business that she runs as well. They have a little meeting every night to plan out the next day; what each of them is responsible for, and how the day needs to flow. That helps them hit the ground running every morning. They each go into the day with a list of things that need done. If she doesn’t want to carry things over to tomorrow’s list, Eva knows she has to work to get them done that day. Eva has the opportunity to teach finance classes in her community to teens and it is one of her biggest passions. Whether or not they use it, she knows she has provided them with the tools they need to use their money wisely. One of the biggest ways Eva is having an impact though is through The Teenpreneur Conference. This conference is held every year and is for teen entrepreneurs or teens who maybe don’t have a business yet but are interested in entrepreneurship in general and want to know how to get started. The conference has classes and sessions on all aspects of running a business. Eva developed the conference after speaking to teen entrepreneurs all over the country and discovering that they all felt such a keen sense of isolation. The isolation is imagined, because there are teens the world over trying to build businesses for themselves. Eva wanted to have a place that they could come together, meet others like themselves, help each other, encourage each other, and have a sense of real community. 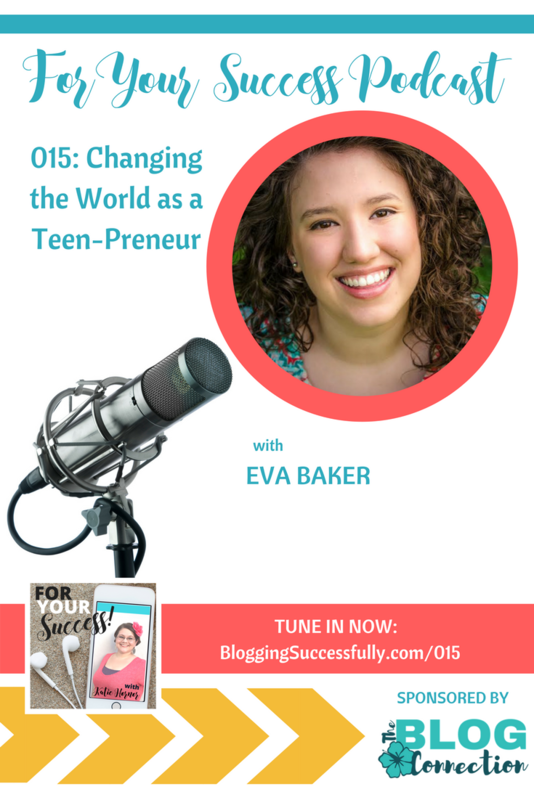 Eva’s advice to any teen wanting to start a business is “just keep trying.” Having a plan in place and trying to follow it is how she views success. Be sure to listen to Episode #1 of this podcast to learn more about the FinCon conference from it's founder PT Money. And be sure you go to Eva’s site for your FREE ebook Seven Days to Centsible Savings.